Seat is well-known for producing performance cars at bargain prices. 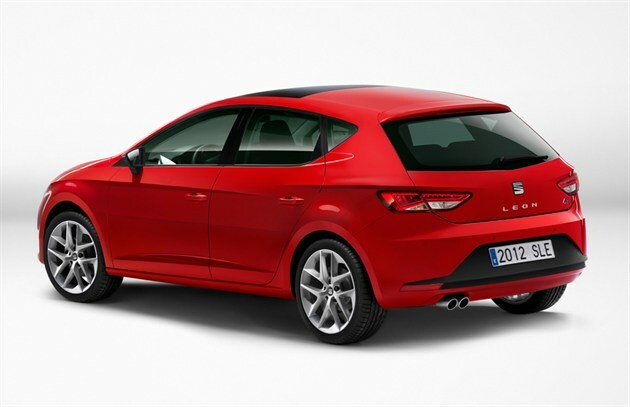 Seat has produced a hot FR version of its Leon hatchback. The Leon FR comes with high output engines, sharpened driving dynamics as a well as mildly enhanced looks. Seat delivers all this with an affordable price tag. The FR has been designed to deliver a good deal of practicality and performance all wrapped up in a stylish body. The FR is not the hottest Leon in the range. It does offer a lot as far as performance and style are concerned. Both the front and rear have received new bumpers. Stainless steel exhaust pipes are also included with 17-inch wheels fitted as standard, and 18-inch versions are offered as an option. The car’s interior boasts a number of enhancements. The car’s dashboard sports a new, smart, detailed finish, and the car’s white instruments give the cabin a modern look. An FR-branded gearlever and sports seats are also specially designed for the FR model. The dashboard itself is an attractively designed, and it angles toward the driver for a sportier feel. The Leon FR comes with a choice of two engines, both offer an impressive performance. The 2.0-litre T-FSI petrol engine offers high output. The other option is the powerful 2.0-litre TDI unit, which as well as offering performance very close to the petrol, delivers highly impressive fuel economy. The FR has had enhancements to its suspension. The enhancements improve the car’s performance credentials. The dampers have also been redesigned to give more grip and sharper handling. The anti-roll bars have also been reconstructed to provide better safety. The car’s braking system has been enhanced as well. The car’s purchase price is competitive and provides good value for money given the amount of performance and equipment on offer. Running costs should be reasonable, and insurance is affordable as well. Servicing and fuel are higher than average though. The car’s cabin would accommodate a small family quite well. Cabin space is sufficient for front and rear passengers.The rear seats split and fold to increase cargo carrying capacity, and the boot is a reasonable size. The Leon’s dials are attractive with a quality finish. The car’s three spoke steering wheel adjusts for both rake and reach. The driver’s seat is also adjustable for driving comfort. The car’s fascia is large and angled towards the driver. The car’s seats are supportive and comfortable, similar in design to my second hand Alfa Romeo Mito. The car’s cabin provides good levels of head and legroom in both the front and rear. Rear passengers will rarely feel cramped. The car’s firm ride might become uncomfortable for some. Front seat passengers shouldn’t have any difficulty accessing the car’s cabin. The seats are set high and passengers should be able to slide right in. Rear passengers should also find accessibility fairly easy. Rear head and legroom is good even though the Leon sports a sloping roof. The rear door aperture is sufficient but could have been bigger. The car’s hatchback provides good access as well. Despite limited rearward visibility the Leon’s steering is light at low speeds and the car’s large side mirrors make parking fairly simple. Drivers must be very careful when reverse parking because the thick rear pillars can block your view. The Seat’s suspension is firm and comes in handy while taking corners fast. It helps to reduce body roll. The car doesn’t fair as well on bumpy roads or rough terrain. The car is aimed at enthusiastic drivers and a mix of firm suspension and the torquey FSI engine is likely to provide plenty of fun. The Leon is a fun car that delivers plenty of thrills and a high level of safety. The Leon would make a good family car. Seating is limited though and larger families will not fit comfortably. The cabin is durable and passenger space will be adequate for a smaller family. Rear space is also sufficient. The Leon would make an excellent first car. It’s affordable, easy to drive and easy to park, and comes with good levels of equipment. Running costs should be low but fuel expenses may be too much for a newly licensed driver. Seat is promoted as the sporty, affordable brand within the Volkswagen Group. Quality-wise the car is comparable to products from Skoda, although Seat is not held in the same high regard as the Czech manufacturer. Yet, many young buyers find Seat products more fun and less practical than those from Skoda. The car comes standard with remote central locking, deadlocks, and an engine immobiliser. The car’s alloy wheels also come with locking bolts. The car comes with six airbags as standard and the option of two additional airbags. ABS and ESP also come standard. The car offers traction control and enhanced electronic braking. Tyre pressure monitoring also comes standard. The car’s standard audio system includes a radio and CD unit. Remote control buttons on the steering wheel are included for the driver’s convenience. The unit produces good sound quality but the unit’s main buttons are quite small and hard to use. The LCD display is also difficult to see in direct sunlight. The majority of the car’s interior is comprised of dark grey plastic. The addition of white instruments and flashes of colour help to keep it from looking too dark. The trim is of good quality and feels durable. The Leon offers all the performance and handling that most enthusiastic drivers want, but still provides all of the practicality of a mid-sized hatchback. Overall build quality is good as well as a high standard of fit and finish. SEAT are a popular car manufacturer, part of the VAG group.